This piece is based on I Ching, the 5000 years old Asiatic symbol language, the Book of Changes. The two basic symbols – YIN and YANG describe the dualism and dichotomies of our world of experience (such as dark/bright, gentle/dynamic) as spiritual and integrating correlations. All the possible combinations of the two of these three symbols result in eight trigrams. The concept of one of the trigrams -KAN (the Water) suggests universal transportation of ideas, power and solid matter; sensitivity, psychic dimension of individuality; potential, the spiritual archetypes being shapeless and moldable; collective unconsciousness. 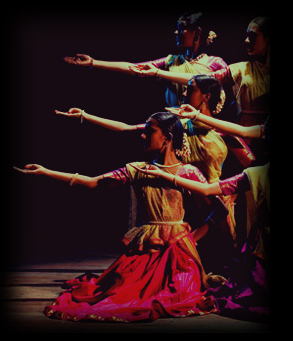 This choreographic piece is an attempt to trans-create the musical piece named KAN (The Water) from the I Ching Symphony, a healing and harmonizing music into the Dhrupad-Kathak idiom.